You are here: Home / Cebu Pacific / CEBU PACIFIC AIR: BOOK YOUR SEOUL AND FUKUOKA FLIGHTS FOR AS LOW AS 1 PESO ONLY! 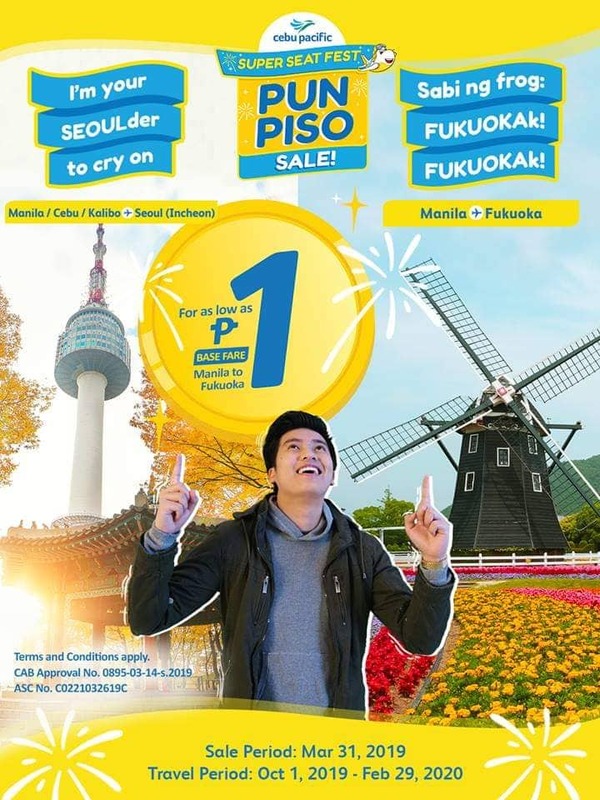 CEBU PACIFIC AIR: BOOK YOUR SEOUL AND FUKUOKA FLIGHTS FOR AS LOW AS 1 PESO ONLY! In the past days, Cebu Pacific Air has been asking all travel enthusiast to name their favorite travel destinations. And because today is the last day of Cebu Pacific Air’s Seat Sale Fest, your wish has been granted! Book your flights to SEOUL and FUKUOKA for as low as 1 PHP only! Please note that this promo runs only TODAY and no promo code needed.